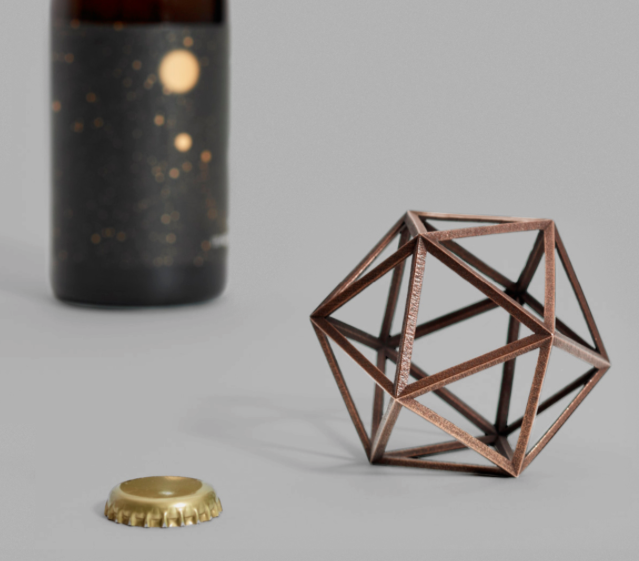 An instant icon, the Ico Bottle Opener is made of 3D Printed Bronze. It is also a numbered edition. 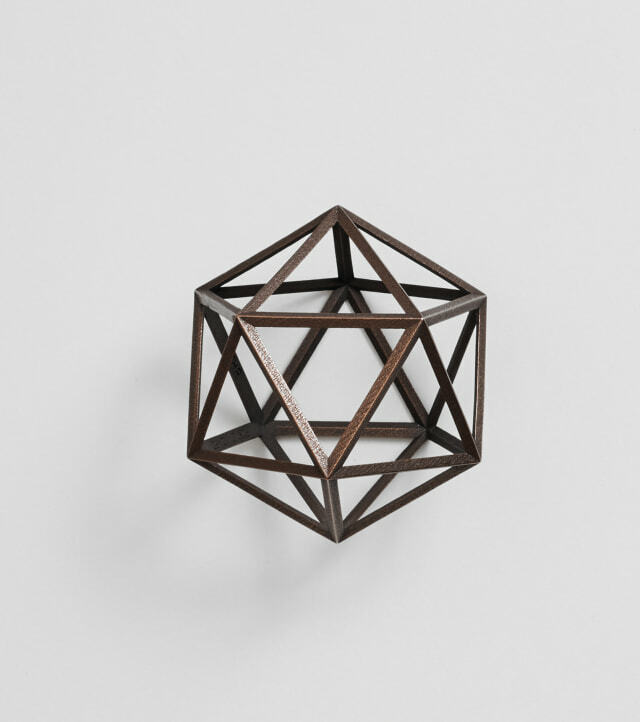 Pioneering the possibilities of functional metal frameworks, Brooklyn-Based Fort Standard created a beautiful tabletop item that begs to be used and displayed. 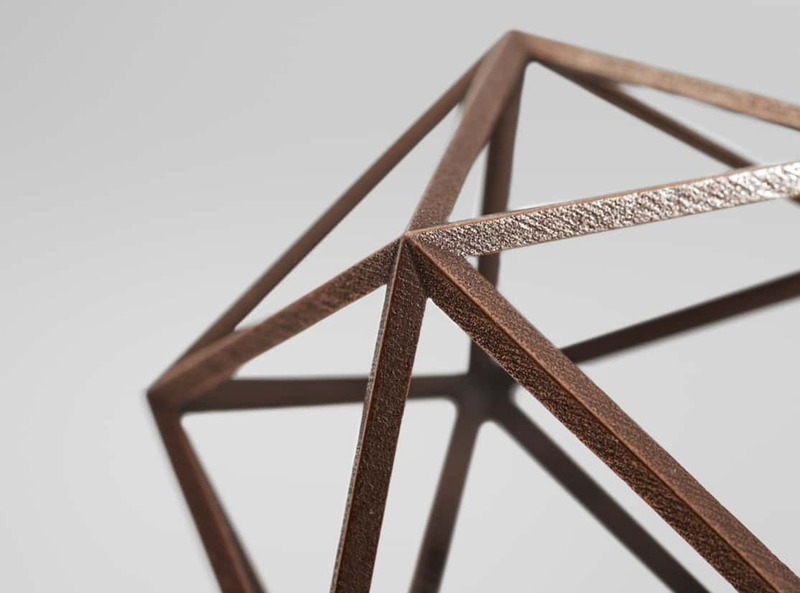 The complex design also showcases the full potential of 3D printed steel. 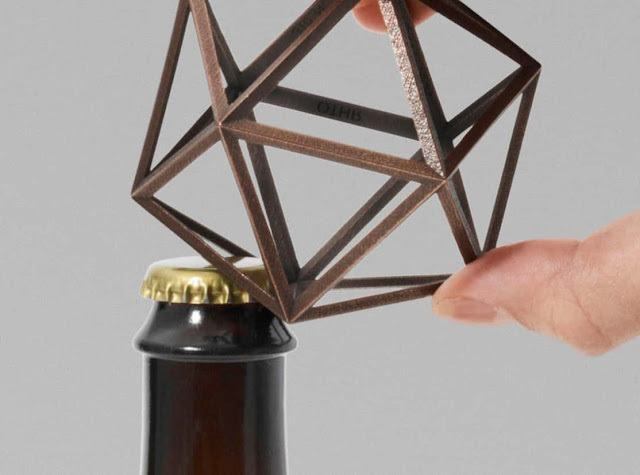 Simply put, the Ico Bottle Opener would not be possible to produce as a casting. Each of the 20 facets on the icosahedron function as a bottle opener. 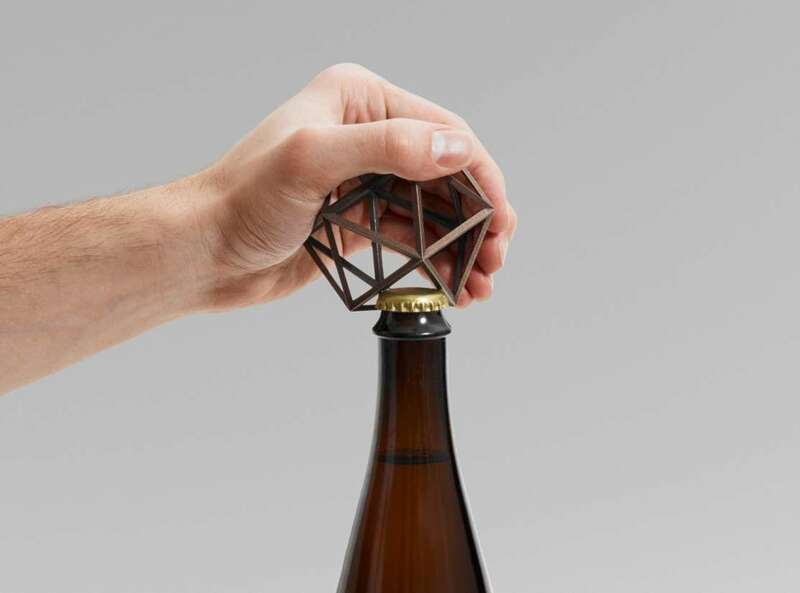 Its three sides mean that there are actually 60 bottle openers in this one form. very creative work , thanks dear for giving us such a beautiful idea.